Music is the key to awakening the Mind of Man, opening the chakras and energizing the power points of the body. It can be used in healing or in meditation. Sacred words in the Greek and Hebrew text have been provided for many of these songs. Note: The audio samples on this page are typically 20 to 60 seconds in length, with a corresponding file size of approximately 350 KB to 1 MB. The Sacred Names of the Most High are included here to prepare us to think and work on many levels so we can create a holistic unity that reaches from the Universal to the DNA wave forms within us. The combination of the Names with music opens our mind to visualizing a cosmic frontier and thinking non-locally. 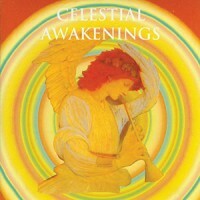 The music invites us to enter into the companionship of the Divine as we sing the Names with the angelic orders of the Erelim, Cherubim, Seraphim (Keys of Enoch®: Key 303) and feel the joy of being in orchestration and devotion as we move into the next phase of our spiritual ascension. The nature of the Divine Mother has many forms and many affirmations for those on the path of service. Throughout the centuries, in the languages of Hebrew, Greek, Aramaic, Sanskrit and Chinese there can be found many feminine names for Her Attributes, including Pneuma or Nephesh for Soul or Sophia for Wisdom. The expressions of the Divine Mother are to help each of us gain a deeper comprehension of Her heavenly Gifts of Love and Compassion, and to provide a power of protection as we work with the true angelic Wayshowers who share and reflect that Love. with the Temple of the Holy Spirit in awakening our brothers and sisters to receive the higher vision of Life. As we hear the Divine Names, we become a musical Temple of Understanding; as we begin to sing songs from the heart and lullabies we are brought into a renewed life, praising the Most High and the Cosmic Christ. 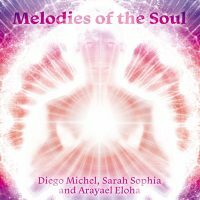 This special music was created by young Brazilian composers Diego Michel and Sarah Sophia, and Arayael from the USA. 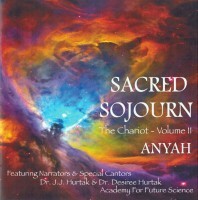 At a time when so much of the popular music scene for world youth is dominated by “heavy metal music” – it is refreshing that young artists and music composers are moving towards a music that can be identified with the sublime moods of the soul which, in turn, flow with the inner strings, sacred flute melodies and impressions of a path to spiritual empowerment. As we experience this music and the Names sung to The Most High, powerful rhythms and soundscapes emerge to help us face the challenges of Life. 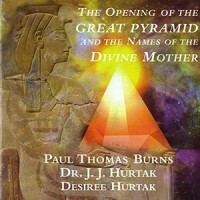 The Sacred Names used have been selected from Academy books including The 72 Living Divine Names of the Most High and The Overself Awakening by J.J. Hurtak, Ph.D., Ph.D., and Desiree Hurtak, Ph.D.
Hebrew & Greek. These come together as mantric patterns that open our body through the chakra centers, coordinated through the crown chakra, the Kether Or, Crown of Light. Become immersed in the sounds of the Higher realms of Light that takes us beyond earth-based thought forms & lead us into our future Divine potential. 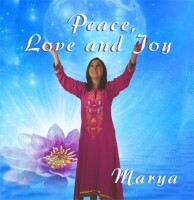 The music of Marya takes us into the thresholds of a new personal alignment with what is called ‘the Overself ’ consciousness, where we take time to reflect on our dedication to a spiritual path through self-realization. 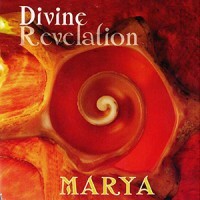 Marya’s voice is so multi-poised that, sometimes, with powerful sacred sound patterns, we actually feel that we are surrounded by ‘angelic’ intelligence. Within this unity we can calibrate all our thoughts and frequencies into positive personal and social activity which reflect the Divine Presence of Eternal Peace. Deeply submerged in the universal tone of the soul we begin to see people as true brothers and sisters, and understand how music can change our soul as it is uplifted into higher experiences of ultimate bliss, inner peace and loving joy with those of the Divine Family. 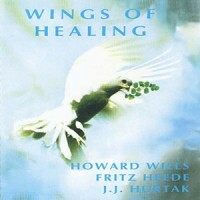 Music and meditation which reveals the nature of the celestial orders and the angels. 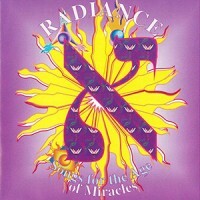 Feel the expansion of consciousness as you glimpse the nature of the Divine within the Sacred Music. Experience also a meditation, that takes you through the ancient lineage from Adam to Jesus. The Divine Names confide their powers to those who are capable of reflecting cosmos and communion in the cosmos of nature. 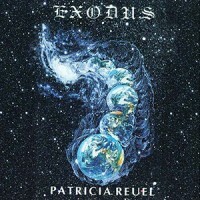 A meditative music that applies mathematical algorithms such as polygonal numbers, Fibonacci numbers, fractals, and the numerical foundations of numerous natural formative processes in order to create organic-harmonic sound structures, resulting in compositions that are both unique and contemplative. 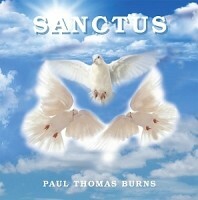 Songs of Sacred Names reveal deep feelings of Love that stir the soul towards inspiration and sanctification. The vibrations reverberante within the body, and add to the opening of the thesholds bringing an awakening of energy that is inherent to the Mysteries of Light. The voice expressed through the words, is the same voice that wants to be expressed through the hearts of all sentient beings activating the trinity of the body, mind, and spirit. 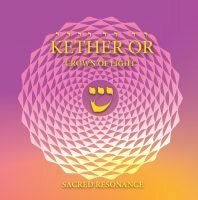 Filled with unique and meaningful musical experiences, this album/CD helps one to remember a long-forgotten part of the human experience that brings all people together who are engaged in Divine Sacred Sojourns. 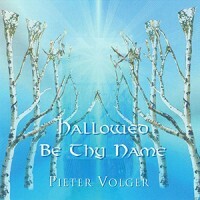 With the powerful energy words that Moses and Miriam used in the journey out of Egypt, inspirational musical vibrations and sacred expressions are experienced from around the world, to help us prepare us for the changing of the garments into the Garments of Living Light leading to contact with the Angelic Hosts. 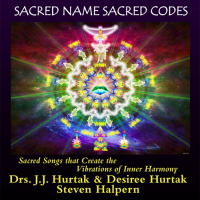 This CD has a powerful musical score that gives life to the expressions in our books, The Seventy-Two Living Divine Names of the Most High and The Overself Awakening in preparing for contact with positive Cosmic Intelligence! 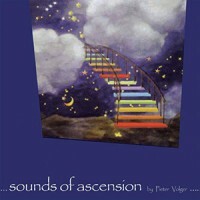 In this masterful collection of sacred music, we encounter the real "sounds of ascension" as if the heavens are opening and we can hear the songs of the angels. Each of us is called to listen and honor our heart, to nourish ourselves deeply and unfold our true self into the ocean of everlasting Oneness. 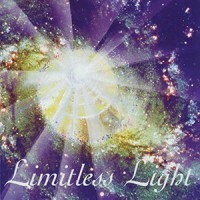 We recommend that this CD be used for listening enjoyment, as well as meditation to bring Peace to the inner soul and spirit. 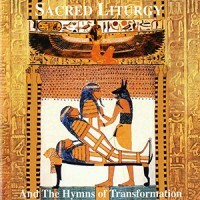 The Liturgy of opening the Great Pyramid through Sacred Expressions - liturgical music using Hebrew and Greek names for the experience of higher levels of inspiration. Many of these tones and voices were captured in live recordings inside the Great Pyramid of Egypt. This music can be used for ecumenical fellowship in all educational, cultural and spiritual gatherings as a setting for meditation and prayer. 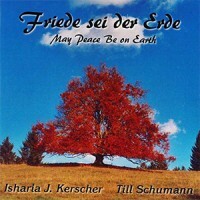 An uplifting experience of magnificent song and music for those seeking knowledge of the Divine Names of God. The "Birth of "Light" brings us closer to the discovery of the "Divine Purpose" and "Joy" in our daily lives, in our quest to uncover the Language of Light. 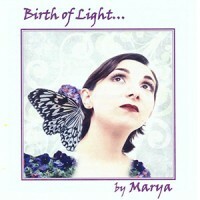 The masterful voice of Marya awakens an intricate soundscape of musical sounds within our soul. It is a joy of singing the many Names of God that heals the separation between our mind and our heart. And it is this same joy that heals the separation from our heart and our soul. 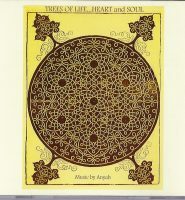 Through the compositions sung in various languages we find a unique mix of African rhythms with sacred words of praise. Whether it be from the ancient Hebrew or the modern African words, each song represents the expansiveness of the Most High God who rejoices in all Creation. 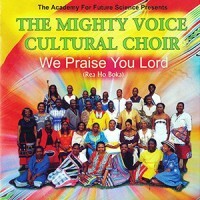 This is a unique album that shows the extent of the work of The Academy For Future Science in Africa helping as well as encouraging a up-coming choir to sing and rejoice in the Lord. 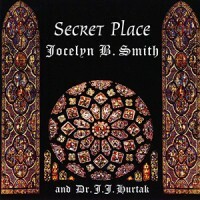 This entirely musical composition was designed for quiet contemplation of The Divine. Thus the listener will not find a dominant melodic and instrumental accompaniment. Here, mathematical algorithms are used as structural elements creating self-similar (fractal) delay-patterns both in the rhythmic domain (microtime < 100 ms) as well as in the tonal domain (macrotime > 300 ms) using multiple feedback-loops. 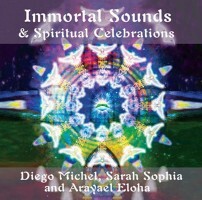 On this CD, dynamic sound-systems arise from a combination of natural harmonic patterns (overtone series, Fibonacci-numbers...) and a stochastic distribution of sound parameters resembling the manifold flux and vortex patterns of nature. In this way, all repetition is never really the same and the primeval word is carried into ever higher spaces of listening awareness. 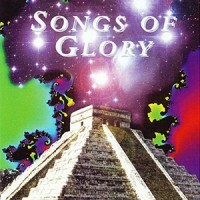 Music and song with which to experience the ancient vibrations and Names of the Divine. 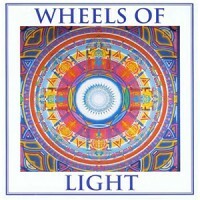 Academy members from North and South America orchestrate sacred themes for the opening of deeper consciousness realms. It includes both Divine Expressions and Sacred Ballads that express a Love for the Trinity and a musical reverence for the greater universe wherein we dwell. This multi-language musical composition brings forth the words, "Praise Him, all you angels..." (Psalm 148). With this we realize we are to sing with those of the Height. All levels of musical praise, enjoyment and cross-cultural understanding are awakened with song and we realize we are the instruments for bringing peace and reconciliation into the world through spiritual music. 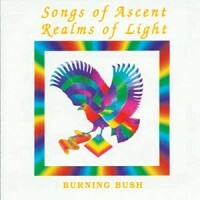 Music that brings through the power of the Spirit which can lead to other realms and heavenly abodes. 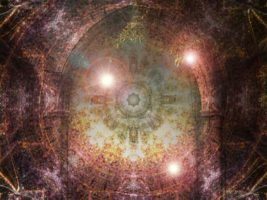 Here we experience the voices of the Treasury of Light and the sacred pillars of ascension and decension, as we journey into the worlds of Light and hear ancient and mystical sounds and Sacred Names. 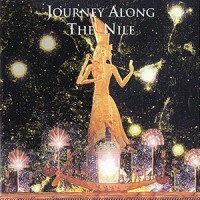 A meditation experience and guided journey along the temples of the Nile. 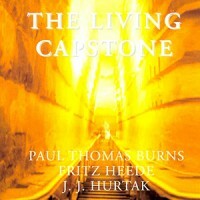 This musical meditation brings to life the understanding of the ancient initiation process through the Sphinx and Pharaohs which reveal the generations of man in stone. It beckons us not only to enter the temples, on the earth, but the regions of Ihmw-'sk , the regions of the Imperishable star gods which lead to the Eternal Father. 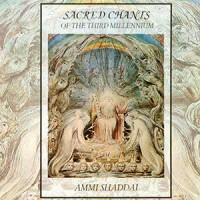 A specialized use of the Divine Names designed for group and individual singing and meditation. 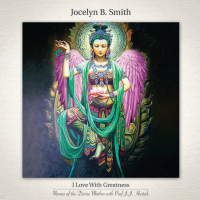 The radiant solo voice and guitar frequency allows for higher states of awareness that nourishes spiritual growth in preparation for positive and direct consciousness experiences. This musical composition contains many Sacred Expressions that open the vistas of inner experience for children and adults alike. Singers, both old and young, from Mexico City have opened their hearts and souls to sing praises of Glory to the Eternal One. Using biblical languages, they activate the gates that help to bring forth harmonious vibrations of Light. Sacred sounds and Sacred Names resound within ancient instrumental sounds created by those working with The Academy For Future Science in Latin America. These sacred resonances awaken us to the plurality of worlds and angelic dimensions within the Father's House of Many Mansions.